One of my favourite places in Hawke’s Bay has won an award. I’ve tried to find some more photos, particularly one I took of Steve Cave there a few years ago! But here are some – first lot of kids were from PakiPaki School and the second lot in the red are from Takapau School. 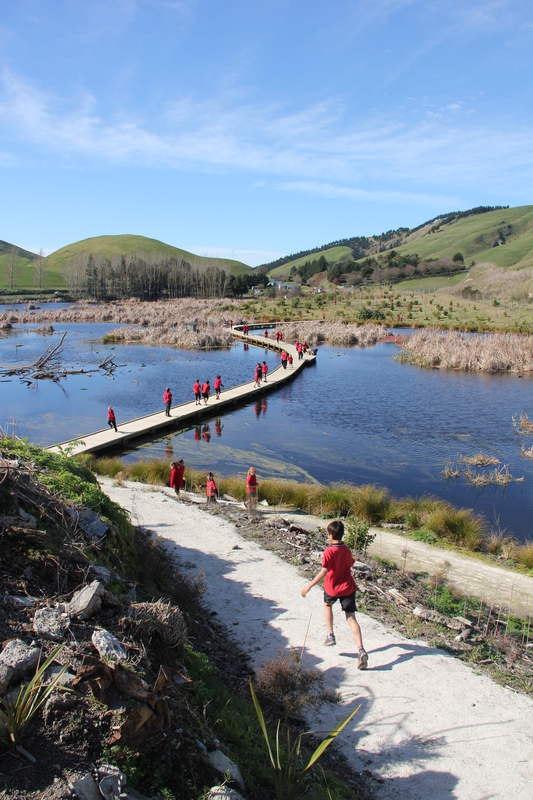 Pekapeka Wetland (care of the HB Regional Council) has been given a Pride of Place distinction award from the New Zealand Institute of Landscape Architects. According to the council press release, the citation for the award states that Pekapeka Wetland provides a range of experience opportunities for users and acknowledges the contributing work of Shannon Bray Landscape Architect. 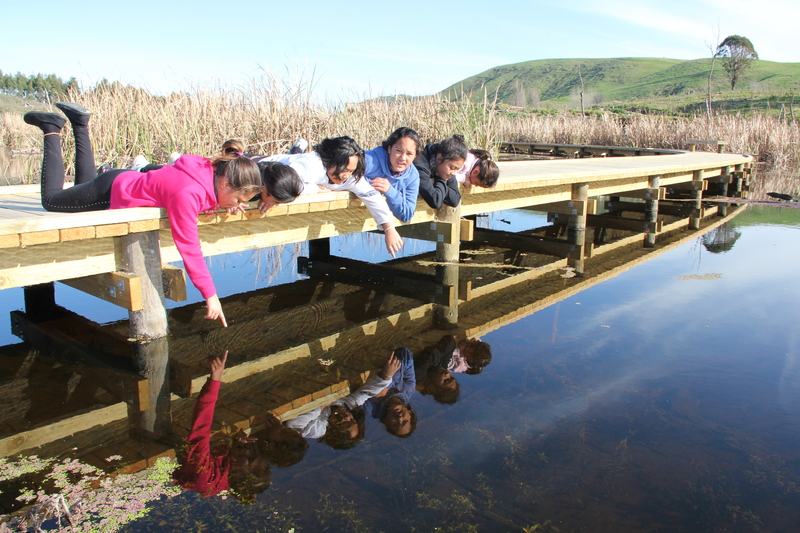 “This is one of three awards for Pekapeka Wetland since 2009, realising its champion value and raising the awareness of wetlands throughout Hawke’s Bay,” said Stephen Cave, HBRC’s Operation Environmental Manager. Stephen Cave is quick to acknowledge a number of the project’s key supporters, particularly Shannon Bray, Waa Harris, Peter Dunkerley, the Community Foundation, Rotary Club of Stortford Lodge, Eastern and Central Community Trust and the preliminary work of Titchener Monzingo Aitken Ltd. Iwi groups plus many children from schools (particularly Pukehou School) and Kiwi Conservation Club have played a key role in planting areas around the swamp. « Great White Butterfly – not pretty.